I returned this parsha to the sofer. It was pretty clear to me that it was pasul, thanks to the metayeg (which is a topic unto itself). Supposedly he asked a local mot'z with expertise in stam and was told it was kosher and lechumra he should ask a tinok. I was quite taken aback. I send the shaila to Rav Mualem and showed it to another posek, a talmid of Rav Friedlander like myself and in no uncertain terms they agreed it was pasul. Had this posek said a tinok could be asked for a bedieved, that's one thing but his psak was off the mark. Hence it may be scraped away. If it is now a Heih - and therefore Pasul - and you then change it to a Dalet, is this not Shelo KeSidran? You are (probably) correct that: even according to רש"ק and רב פעלים, IN THIS EXACT CASE while in a ספר תורה it would be fine to fix with חקיקה - in תפילין not. 1) I have not looked up all of the שו"ת of רש"ק that deal with the principles relevant here. 2) The צמח צדק establishes a principle that considering that ח"ת is more חמור than כסדרן (as is evident from the fact that according to the first interpretation of the ספר התרומה on the ירושלמי of אין תוולין בתו"מ) it follows that if there is no ח"ת there is no שלא כסדרן. * IF it is now a Heih? 2. Does a Heih have 3 legs on the left? 3. Where is the left leg supposed to be standing? 4. Isn’t there a minimum size for the Yud in the letter Heih? * Is this not Shelo KeSidran? The רב פעלים, and the שנות חיים which he brings down, do not discuss 3 Tagim of a letter going into a Daled Rabosi of the line above it. however in the cases they do discuss – Lamed in Daled or Reish, Lamed in Chof Pshuto, Chof Pshuto touching the Gag of a Daled beneath it, Tagim going into Chof Pshuto above it - they DO NOT differentiate between Sefer Torah or Tefillin and Mezuzot. Seems like differences’ are only, whether you need a Tinok, Kosher and no need for a Tinok, and is it necessary to be removed. חק תוכות מדאורייתא is only if the אות never had a שעת הכושר. If, however, it had a שעת הכושר but was נפסל later on in any way - it is not חק תוכות מדאורייתא, only מדרבנן. He holds this to be true EVEN לדעת הרא"ש! In other words: although the רא"ש holds - and so we פסק'ן - that if a טיפת דיו falls on a letter and is מבטל its צורה - it is ח"ת to remove the טיפה, nevertheless this is only מדרנן since the letter had an initial שעת הכושר. Now, the notion of חק תוכות מדרבנן is not exclusive to רש"ק, as is known the בית מאיר holds that if a טיפת דיו falls on a letter or even if one is changing from one letter to another through חקיקה (the two cases of the מחבר in סימן ל"ב סי"ז) it is only חק תוכות מדרבנן. (This is how he goes about being מישב the סתירה in the רשב"א between his חידושים and תשובות etc). However, there is a fundamental difference between the שיטה of רש"ק and the שיטה of the בית מאיר. Namely: according to רש"ק the core of חק תוכות דרבנן is מצד מראית עין. In other words: say a טיפת דיו fell on a letter, or a letter was changed into another after it had a שעת הכושר the on looker who watched me scrape the letter back into shape has not idea that the letter had a שעת הכושר... hence the חכמים forbid it. 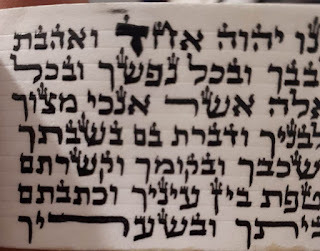 Accordingly, holds רש"ק, if there is some type of היכר, clue, indication, that this letter really was once כשר - there is no מראית עין and therefor חז"ל never forbid the חקיקה. For instance: a למ"ד that is reaches into a כ"פ פשוטה... when one sees it is abundantly clear that a כ"פ פשוטה was written בהכשר on the top line and afterwards, when the lower line was written, the למ"ד entered the airspace of the כ"פ. So, while it is פסול as is (if the למ"ד is towards the left hand side of the כ"פs airspace), it may nevertheless be scraped away since it is obvious that the כ"פ פשוטה was written בהכשר and therefore there is not more חק תוכות even מדרבנן. That is the view of רש"ק. The בית מאיר and גט פשוט, however, do NOT refer to an issue of מראית עין at all. Their שיטה seems to be that it is is an ordinary פסול דרבנן that would have no exceptions. Needless to say: many פוסקים do not accept that these cases are merely מדרבנן. 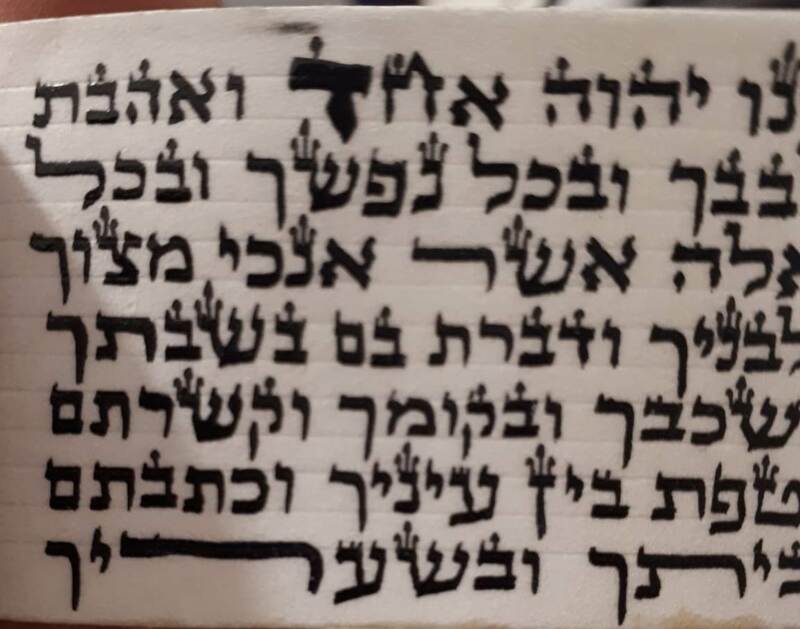 Rather, they hold that it is מן התורה... (which makes the מחלוקת between the סמ"ק and the רא"ש a lot more extreme: what the סמ"ק holds is מותר מן התורה as well as מדרבנן - the רא"ש holds is אסור מן התורה). That is a brief overview of the שיטה of the חק תוכות דרבנן and רש"ק.
Parenthetically, רב פעלים ACCEPTS the position of רש"ק!